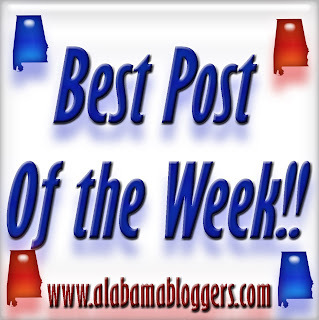 I actually have two posts this week that I am super-excited about! My daughter got to meet her "Man", Scotty McCreery! MY gift this year was to see the excitement and joy on her face! Can't wait till Christmas Day! Merry Christmas to all of the Alabama Bloggers! 5. Project Bulk - I'm using "The 4-Hour Body" to gain muscles and weight, but you might be more interested in the other chapters. 6. Birmingham Blogging Academy - If you're burning out on social media, let me help you with my list of ideas. My kid turned two and hacked my blog.